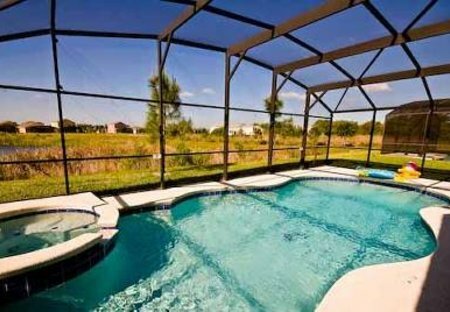 Rent villas in Silver Creek, Florida with private pools. This one's got the lot! Luxuriously furnished villa with south-facing pool and spa, lake view, 50" plasma TV, Playstation 3, Nintendo Wii, games room and more. 25 minutes to Disney. Luxuriously appointed villa in prestigious area. Private south-facing pool and spa, lake view, 50" plasma TV, Playstation 3, Nintendo Wii, games room, free telephone calls, WiFi. Large south-facing villa, with private swimming pool / spa overlooking a small lake. 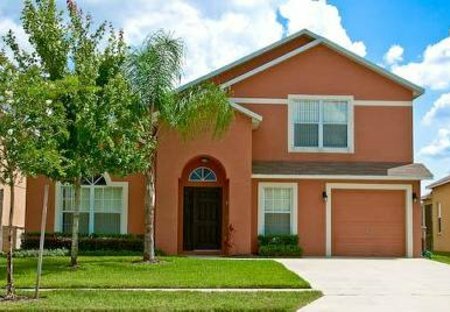 Full facilities including games room; close to all amenities and less than fifteen minutes to Disney.